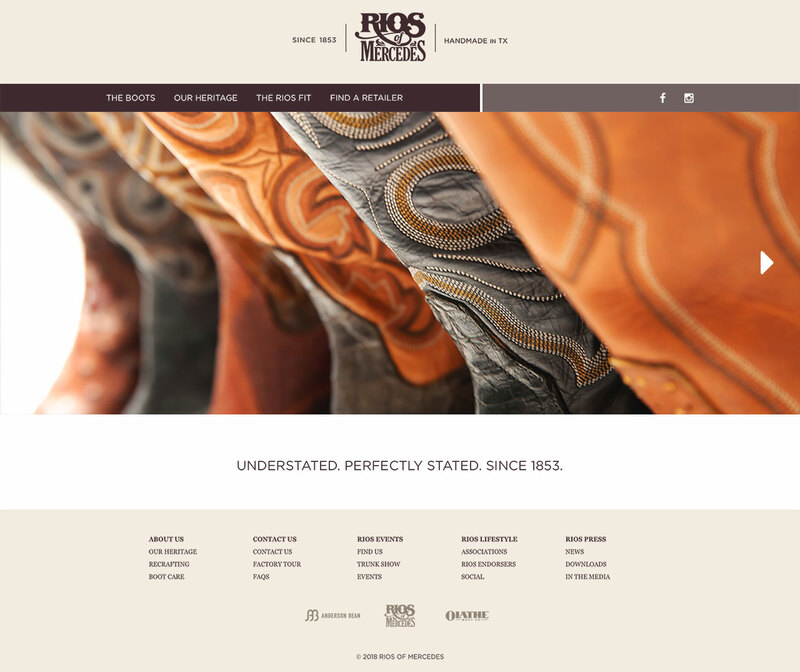 Rios of Mercedes has a long history of handcrafted bootmaking expertise from Mercedes, Texas. I created a website that helped launch their new brand, showcase the variety of boot styles and provide a geolocator retailer directory. This website was built in conjunction with the other corporate brand sites (Olathe Boots, Anderson Bean and HorsePower Boots) on a single content management system to streamline data management and administrative functions.